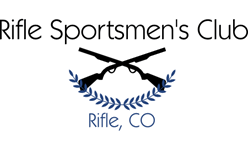 Sign up starts at 8:30 and match starts 9:00 A.M. Bring your rifle, pistol, and shotgun. There will be at least eight slug targets this time, so bring plenty of ammo. Remember that all shotgun ammo needs to be lead only. There will be three stages with 30 rounds of mixed ammo per stage. There is no such thing as to much ammo! This match is limited to the first 20 shooters that sign up. No sign up dont show up.